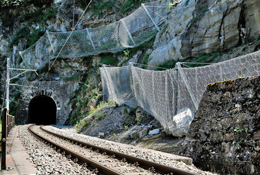 Wherever roads, railway lines or other infrastructures need to be protected against rockfall our drapes made from high-tensile steel wire nets are a perfect economical solution. 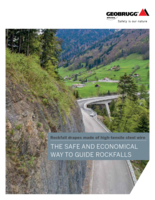 They allow rockfalls to be controlled and guided into the deposition zones. components, as it has been extensively tested as a complete system. 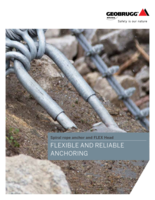 Optimum cost/performance ratio, as the required protection can be achieved with different nettings. Our meshes and nets have an excellent strength to weight ratio and are easy to transport. They allow easy unrolling for a quick and simple installation. 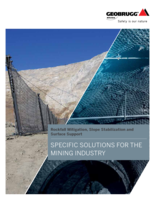 Even high slopes/faces are protected with minimal impact to the natural environment and minimal carbon footprint. 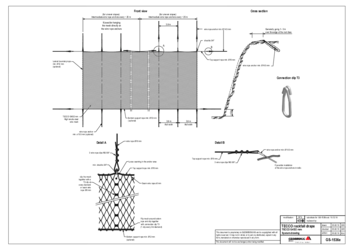 Durable thanks to high resistance: Our nets and meshes have a wire tensile-strength of over 1770 N/mm2 and can withstand high dynamic loads without big deformation.